The Vasco Smith Administration Building of Shelby County government, 160 North Main Street, Memphis, has recently received a renovation from top to bottom. The lobby portion now displays the seals of the seven incorporated municipalities within Shelby County, portraits of the previous four Shelby County Mayors and three large display cases to exhibit the rural life history of the county’s countryside, thanks to the inspiration given by Shelby County Mayor Mark Luttrell. 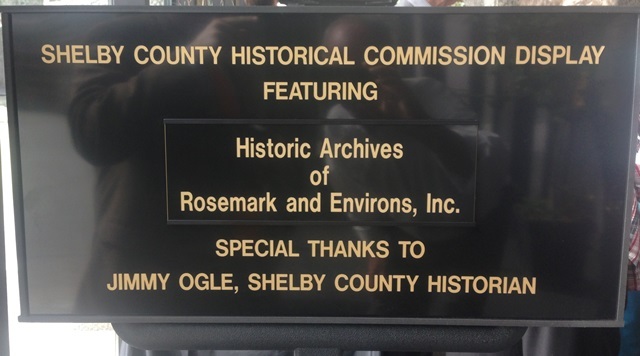 The inaugural exhibit was dedication on Wednesday, July 8 and features the many aspects of the Historic Archives of Rosemark and Environs. Judge Jon McCalla, Penny Glover and Molly Hampton from H.A.R.E. 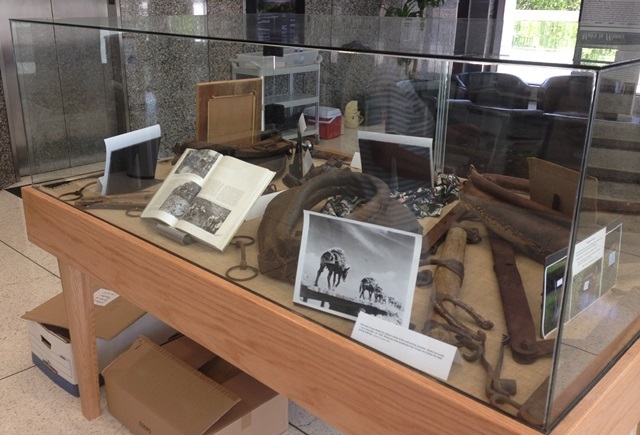 have work diligently on filling the display cases with memorabilia from the Rosemark and Barretville area, including many farm and agricultural related items, kitchen implements, items from Rosemark telephone, photographs, books, etc. The exhibit will be on display for the next four months, and then on a rotating basis, other rural areas in Shelby County (Cordova Museum, Morton Museum of Collierville, etc.) will be on display. The lobby is open to the public. Good work Jon and Molly McCalla! I appreciate their efforts at historical preservation! This communication may contain information that is confidential and/or protected by the attorney-client privilege and/or attorney work product doctrine. It is intended for the receipt and use solely by the individual(s) named above. If you are not the intended recipient, you are hereby notified that any disclosure, distribution, copying or taking of an action in reliance on the contents of the electronically transmitted materials is prohibited.